Looking for a stylish pair of glasses but want some of the excitement diffraction brings to your world? 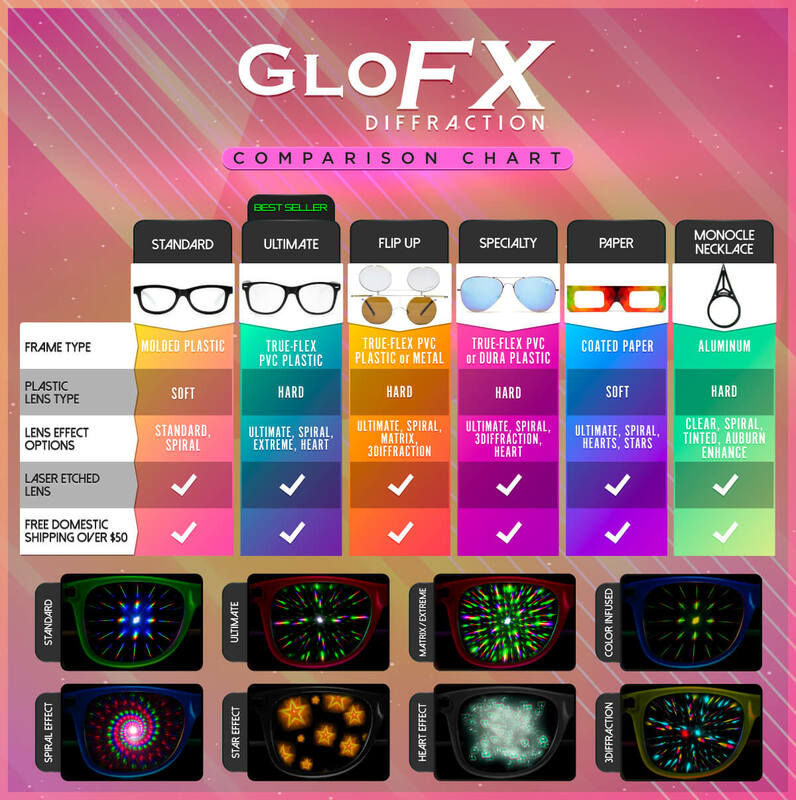 Take a look at our Round Black Diffraction Glasses for a distinctive and high class look that can only be found from GloFX. All of our glasses have high quality in mind, which is why we paired our Round Black Diffraction Glasses with stainless steel hinges and a Lifetime Limited Warranty. These gradient lenses sit in our vintage-esque black frames and feature an amazing diffraction effect. Don’t settle for less, buy GloFX! If your looking to have a blast at your next EDM event/party, you need to buy these glasses! Great conversation starting piece, not mention they are a whole lot of fun! The light refraction can be a little bit overwhelming, so be cautious. Overall, fun product and I would buy again.